Vysera is a natural beauty in her human form. 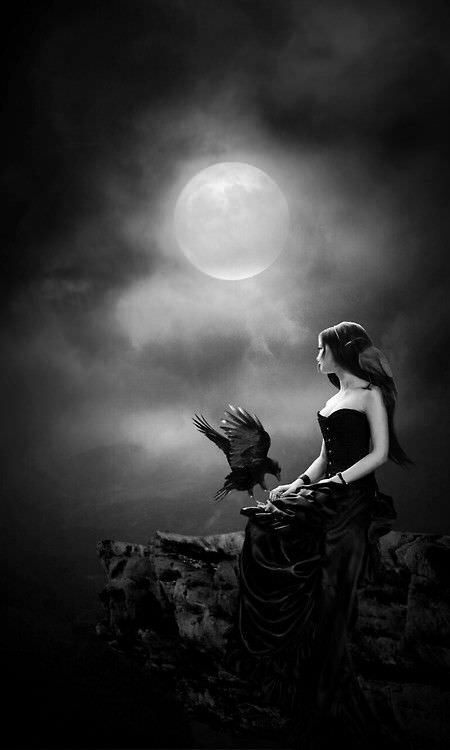 Her hair is long and straight, sleek and reflective like the wings of her raven form. Her eyes are naturally shadows, her irises a silver hue with black slits. She is of average height, graceful and petite. She carries an air of animalistic curiosity about her that draws others toward her. Vysera is a closed book who lives on her curiosity of the world around her. She is quiet and brave, unstartled but cautious. She is a woman of very few words but wise in her young years. She is a gatherer of knowledge and lives mostly to satisfy her unending thirst of adventure. She also lives on the information she gains, selling secrets from afar for a hefty price. When times are hard she relies on her hunting and gathering skills to get by. There is nothing odd about her raven form. 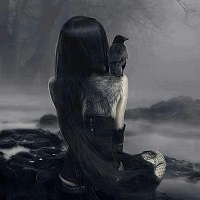 She is a medium-sized black raven with wings that glimmer odd blue from the oil on her wings. Vysera was born to two who met through their work that brought both of them to Mura, a happening of fate that bound the two together. Vysera spent most of her younger days with family and then went off to explore the world on her own. After Mura, Vysera roamed the wilds, spending her time foraging and picking up on small bits of lore and information. She found her thirst for knowledge was ever present but her use for it limiting. She began to serve as an informant of sorts until it proved to be a rather limiting job in its own. Vysera has temporarily settled in Riverfall as a fall back to earn a living on her foraging skills while she waits for better opportunity. She is quiet about her Kelvic heritage.